Located in Lake Superior Provincial Park this is a challenging day hike for those who want a good workout with great views of Lake Superior. You do not have to hike the whole route to get take in the views. You can hike to the first lookout in about 20 minutes, but it is uphill the whole way! From Sault Ste Marie, Ontario drive north on highway 11/17 for 142 km. Look for the sign and parking area on the right just after you cross the bridge over the Agawa River. There is plenty of parking here, as well as pit toilets. The trail starts right from the parking area following a short flat section until you reach a Y in the trail. Turn left here. You will then climb steadily uphill to the first lookout. 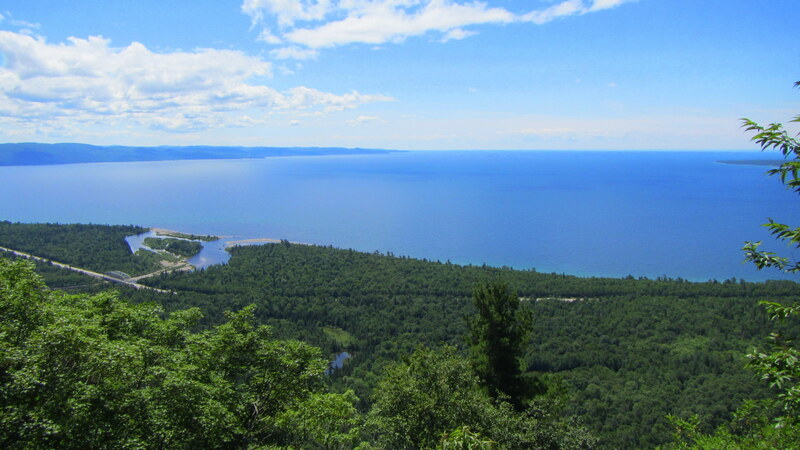 The view is toward the southeast where you will see Agawa Bay, the mouth of the Agawa River, Highway 17 and Montreal River Harbour off in the distance. If the first lookout is as far as you want to go, then simply retrace your steps back to the parking lot. Otherwise continue uphill on the trail. You will walk for about an hour going between uphill and flat sections until you reach the second lookout. 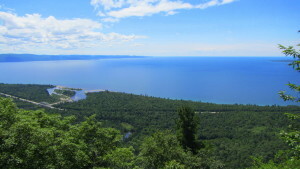 The second lookout provides a view of rolling hills and Agawa Bay. This is a good point for a lunch break. From here it is not long to the next two lookouts. Depending on the time of year your views at the last two lookouts may be obstructed by the leaves. The final section is more hilly stuff until you reach the old logging road. Follow this road downhill, where it will eventually meet up with the Y junction at the beginning of the trail, and continue back to the parking area.